To leverage information technology as a competitive advantage, relentless tuning of infrastructure management (IM) is constantly required, which includes operational components such as policies, processes, equipment, data, human resources, and external contacts. 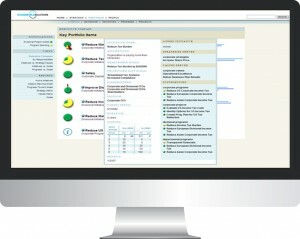 With consistent utilization of intelligent and pro-active infrastructure management (IM) techniques, the competitive advantage of an organization can be sustained. By intelligent and pro-active infrastructure management (IM), the competitive advantage can be sustained. RoundWorld Solutions (RWS) provides all the necessary tools and personnel to achieve this. Infrastructure management is typically divided into categories like such as systems management, network management, and storage management. The competitive advantage can be maintained by looking at the infrastructure management holistically. With the plethora of mobile devices and round the clock access to data, infrastructure management takes an unprecedented urgency to keep the customers and employees engaged and productive. Engaged employees have been proven to be more productive employees, which ultimately leads to greater revenue streams for a company. 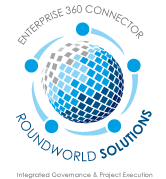 RoundWorld Solutions (RWS) offers an unprecedented menu of services in the IM domain. All business activities depend upon the effective management of IT infrastructure, RoundWorld Solutions (RWS) can assist organizations in the effective planning and execution of Infrastructure Management projects. RWS believes that effective and pro-active infrastructure management has the single largest impact on an organization’s bottom line.